Who would blame me for wanting to revisit the Groma Kolibri, so soon after my previous post on this ultraslim portable typewriter? (I must admit it feels a little like Duelling Banjos with Georg Sommeregger, with Georg plucking those strings a lot better than I can!). I also confess it is a little frustrating, as I dearly love all of these small, low-profile post-war European typewriters, but language barriers restrict what I can dig out about their development. Still, I struggle on in my researches, such is my abiding fascination with this range of portables. I mentioned in my previous Groma post that I had another Kolibri, and here it is. Also, some more close-ups of my other two Kolibris, and a comparison with a normal-size matchbox and an average-size credit-business-library card. 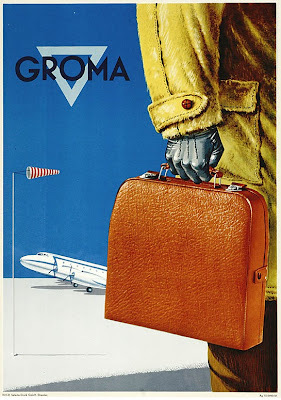 But getting back to the Groma: the brand name comes from combining the original company name, Maschinenfabrik G.F.Grosser, with its home town, Markersdorf, on the river Chemnitz. The company started making typewriters after Max Paul Pfau (born March 31, 1872, Saxony, Germany) returned to Chemnitz in 1924 from the US, with almost 30 years' experience in typewriter design and manufacturing under his belt. 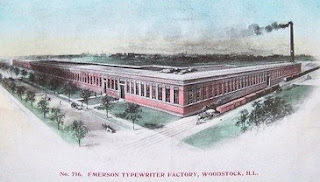 Pfau had immigrated with his family to the US in 1884, aged 12, and later worked for Remington in New York and Underwood in Hartford, as well as spending time in Woodstock, Illinois, where in 1911-12 he designed typewriters for Emerson. This was soon after Emerson's factory opened in Woodstock. During his time in the US, Pfau remained a citizen of Saxony. Richard Polt Collection, Richard Uhlig design. Pfau patented improvements. 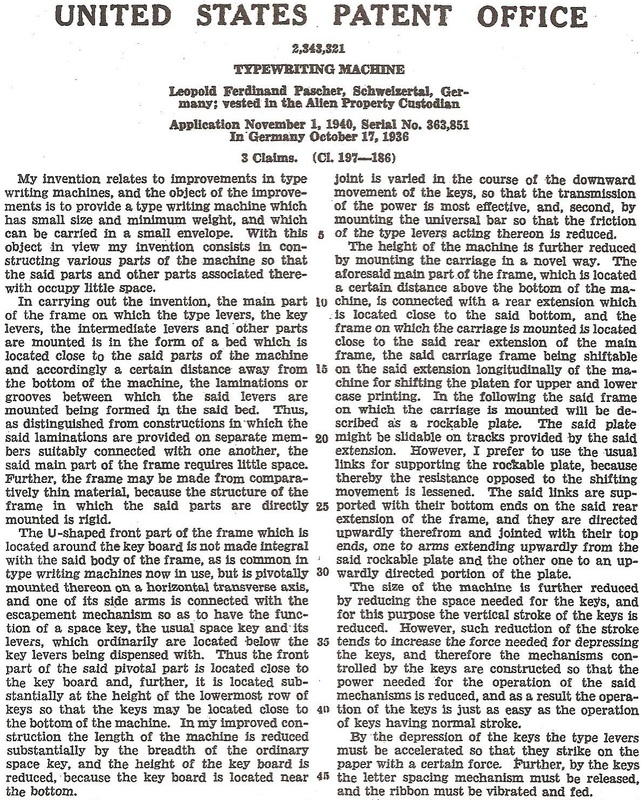 Pfau then joined Gustav Friedrich Grosser's sewing machine company (founded 1872). 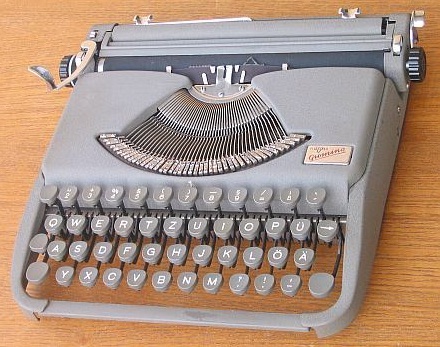 Maschinenfabrik G.F.Grosser GmbH started its production of typewriters in 1924. 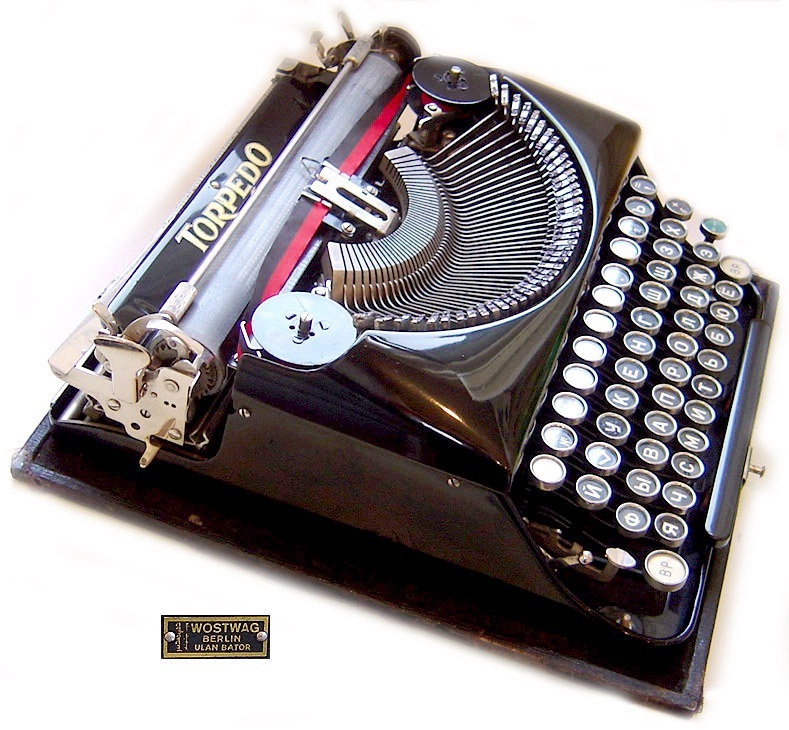 In 1934 Pfau was headhunted by Torpedo typewriters. Pfau was succeeded as head of design at Groma by Leopold Ferdinand Pascher. Georg tells us Pascher was a Viennese engineer. 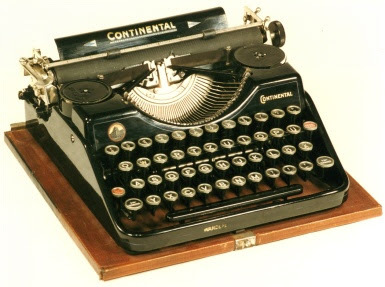 In October 1936 Pascher, based in Schweizertal, was issued with a German patent for what would become the first of the Groma ultraslim typewriters, the Gromina. 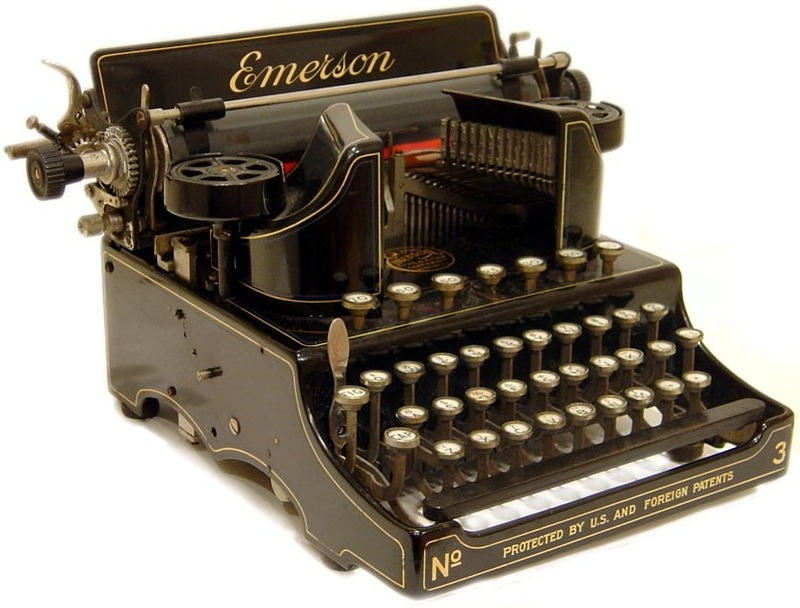 Pascher's application specifications describe in detail his intention to produce a typewriter "which can be carried in a small envelope". 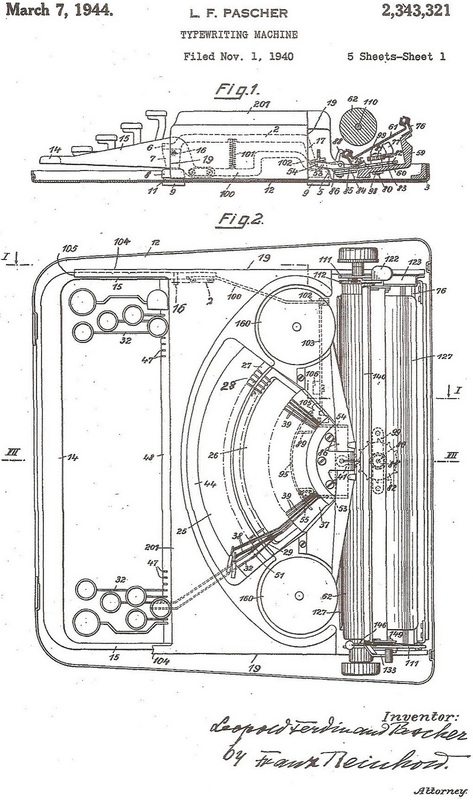 Pascher made an application for a US patent for the same design in November 1940, 13 months before the US entered the war. 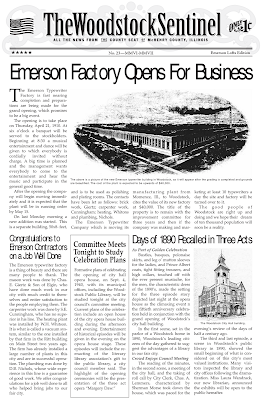 The patent was issued on March 7, 1944, but because of the hostilities, it was vested in the Alien Property Custodian. During the war, Pascher's design for the Gromina remained on hold. 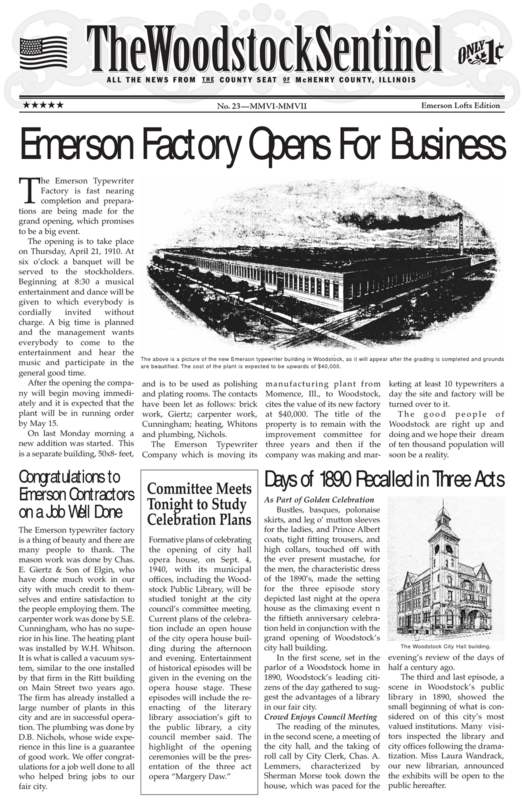 With Groma's manufacturing restructure in 1951, it was finally made. Four years later, the Gromina was followed by the Kolibri. This later work was apparently taken up by Karl Ronneberger, with VEB Mechanik Groma. Following the war, as the company was in East Germany, it became known as VEB Mechanik Groma (VEB=Volkseigenen Betrieb, or "state-owned enterprise" of the German Democratic Republic [East Germany]). But, being none the wiser then, I speculated that the design may have been for the Kolibri. As Richard Polt rightly pointed out at the time, it was for the Gromina. 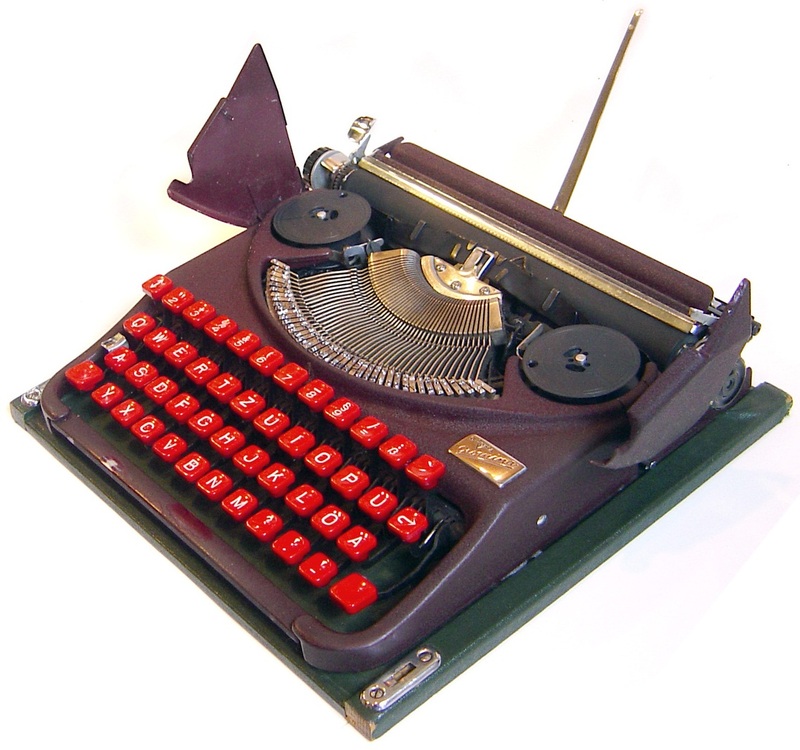 "The Kolibri used a different system, not involving geared typebars such as these," said Richard. This was possibly the "advance" on Pascher's work made by Ronneberger. Elsewhere, Richard questioned the accuracy in using the Kolibri in the film The Lives of Others. After all, the Kolibri was made in East Germany. Georg points out, however, that until Kolibri production ended in 1962, one of the largest customers for Groma was the West German mail-order firm and department store Neckermann. And Adwoa adds that these Groma Kolibris were relabelled as Neckermann Brilliant Juniors. 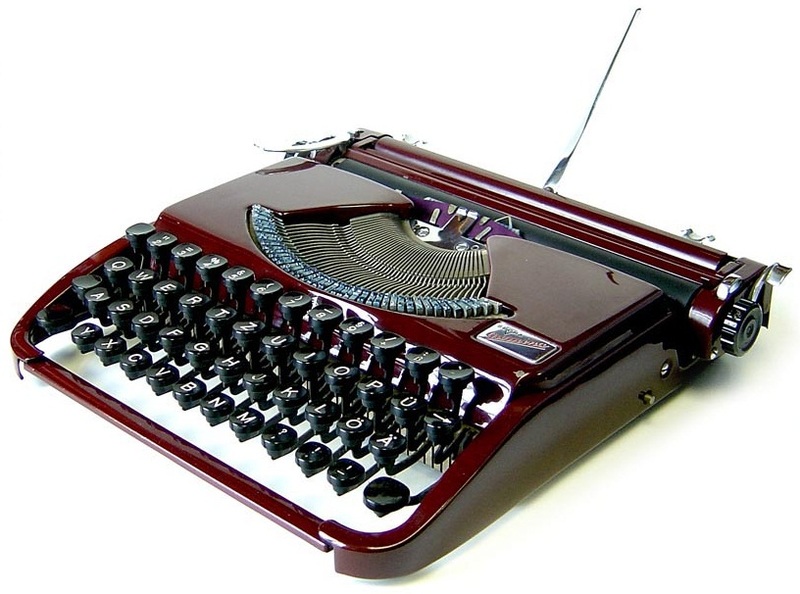 Given, in the film, the typewriter has no ribbon cover (so we can see the all-red ribbon, presumably) it might well have been a Neckermann!? Yes, it might have been a "Neckermann Brillant" in the film. The story with the red ribbon... artistic freedom. I was told (but have no exact numbers) that most Kolibris were exported to Western countries (and those which remained in the GDR were registered by a State agency). The label I have seen most frequently is "Kolibri" (I base myself purely on experience). Second comes "Brillant Junior" (Neckermann). I also saw a variant labelled "Reporter". 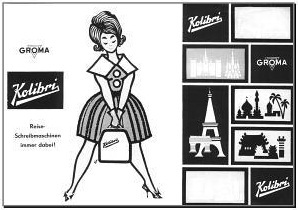 I don't know if Neckermann also sold the original "Kolibri" label. 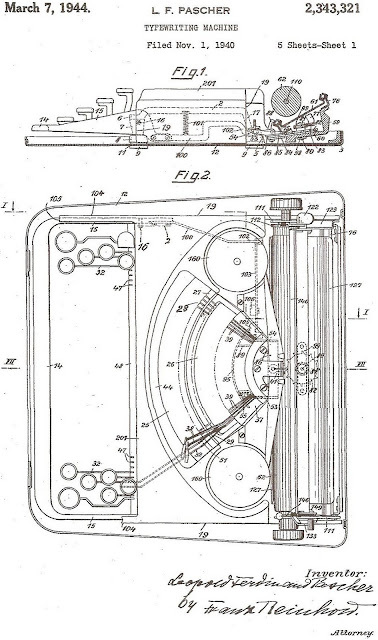 Thanks for showing F. L. Pascher's patent. He met a tragic end, surviving the war, but was then captured by the Sowiets and did in a camp around 1946. 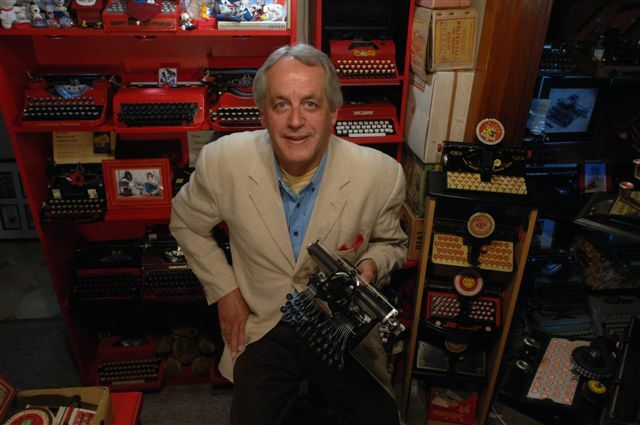 His family would later get royalties from the sales of the Gromina. 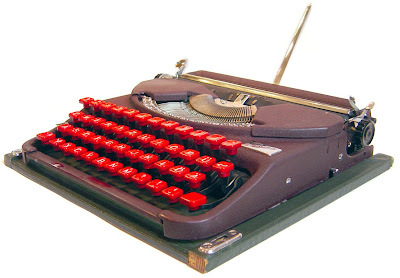 Do you know why Groma stopped producing Typewriters in the 60s?